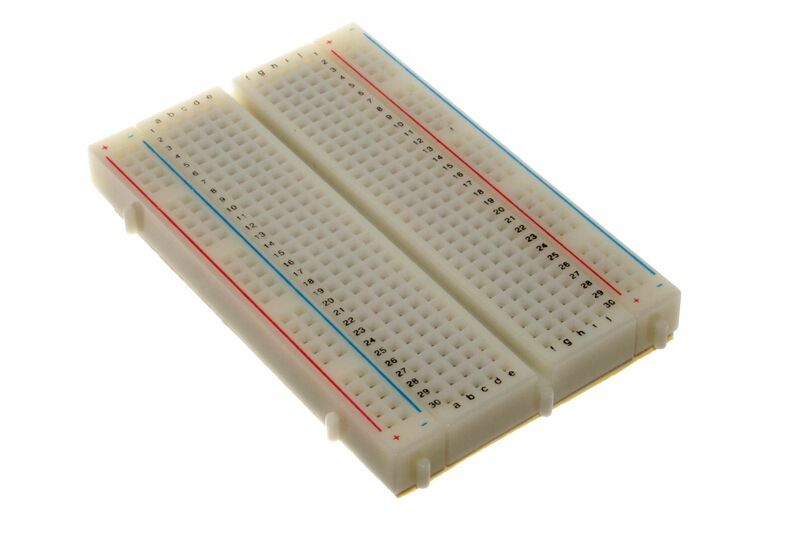 Breadboards (or more correctly called solderless breadboards) allow us to make connections between components and quickly build basic circuits. 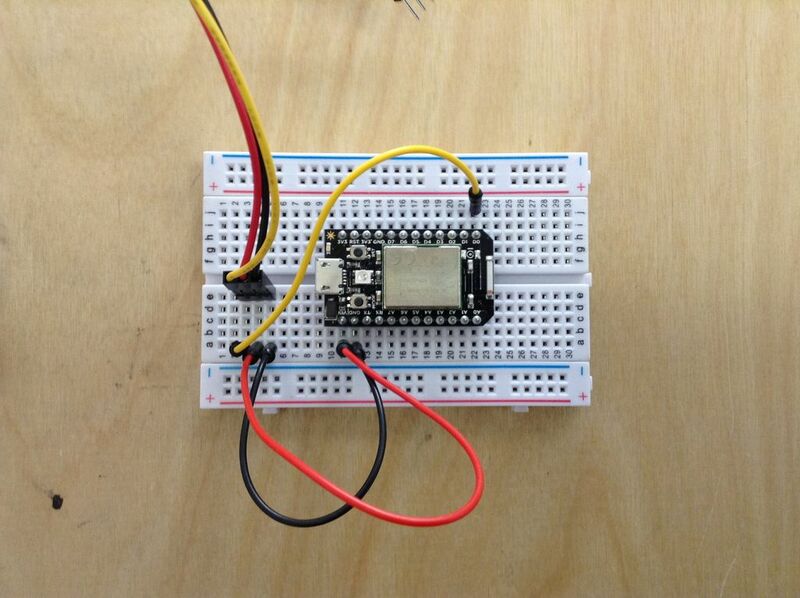 Perfect for prototyping as they don’t require components to be ‘soldered’ together permanently. It lets us quickly drop in components, change their arrangement and remove them. 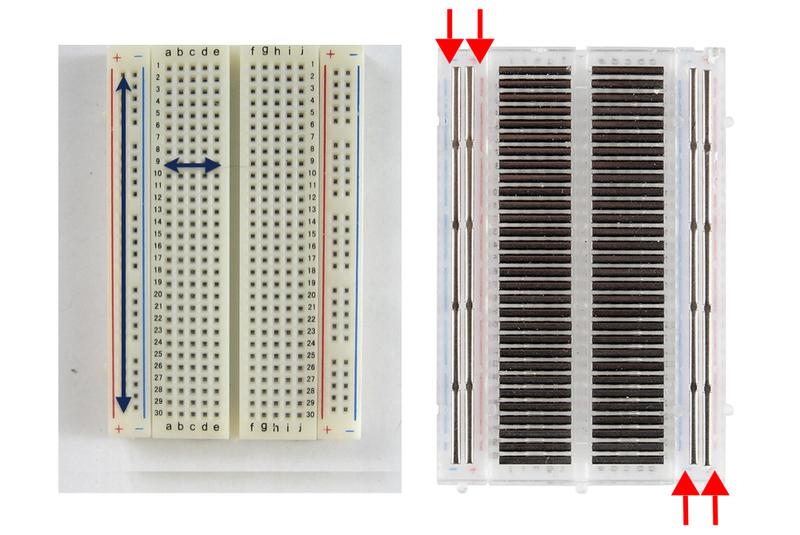 Below is an example of a breadboard in use. It has a series of ‘terminals’ where components or wires can be plugged in. Underneath the housing it has a set of connections already between these wires. On the outside two columns (marked with a + and -) these connections run vertically from top to bottom. On the inner columns, the connections run across (horizontally) connecting terminals in the same row. The columns marked with the + and - are known as the ‘power rail’. These are normally connected to the Microcontroller’s power (marked 3.3V) and ground (marked GND) to provide current to the components of our circuit.